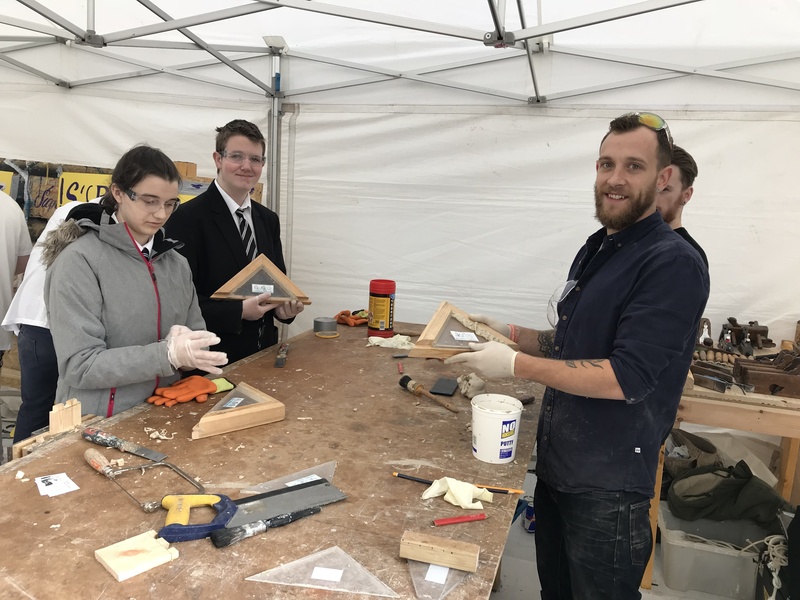 The Forth Valley Traditional Building Forum organised the second traditional building skills demonstration in Stirling City Centre which took place on 4 & 5 October 2018 with demonstration of roof slating, stonemasonry (with limestone), signwriting and joinery. Forum activities work on the basis of collaboration with key stakeholders in the area with this event being led by Stirling City Heritage Trust. 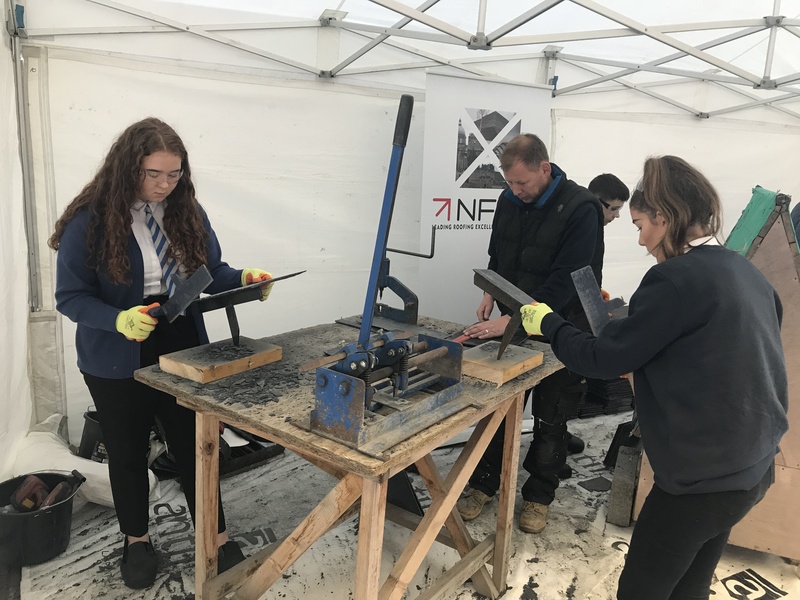 School pupils from Stirlingshire came to the city centre and received mini-masterclasses from local apprentices and tradespersons in the trade being demonstrated. 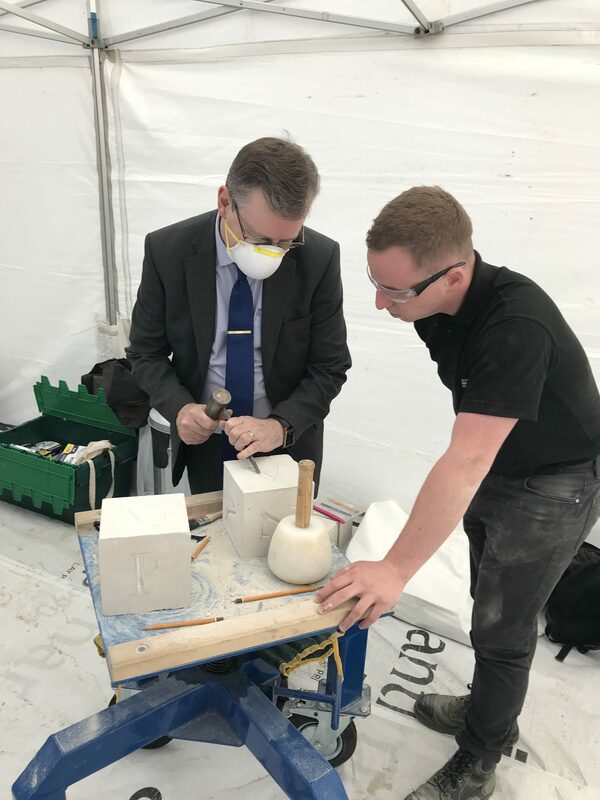 The event was also attended by Dean Lockhart MSP, Alexander Burnett MSP and RH Bruce Crawford MSP, all of whom have kindly supported traditional building skills demonstrations in the past. 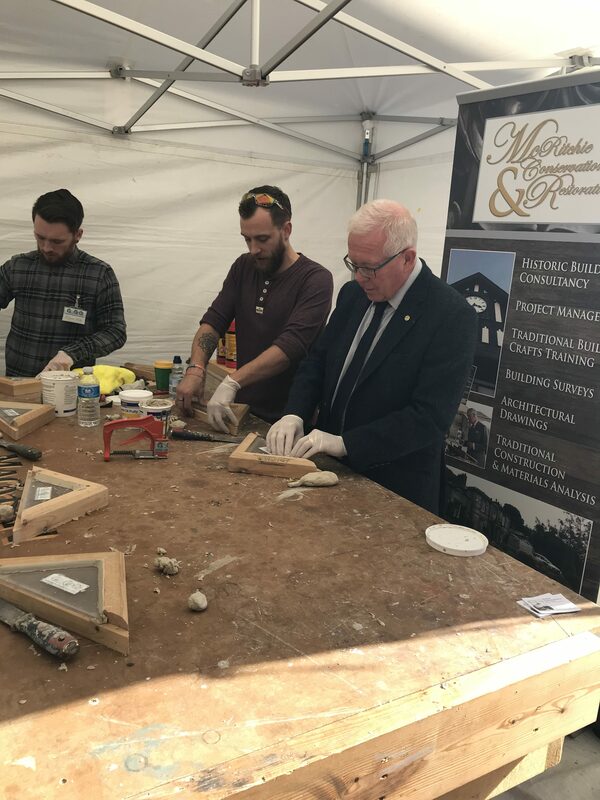 There was also an Information Tent to help homeowners who had queries on how best to repair and maintain their traditionally built homes. 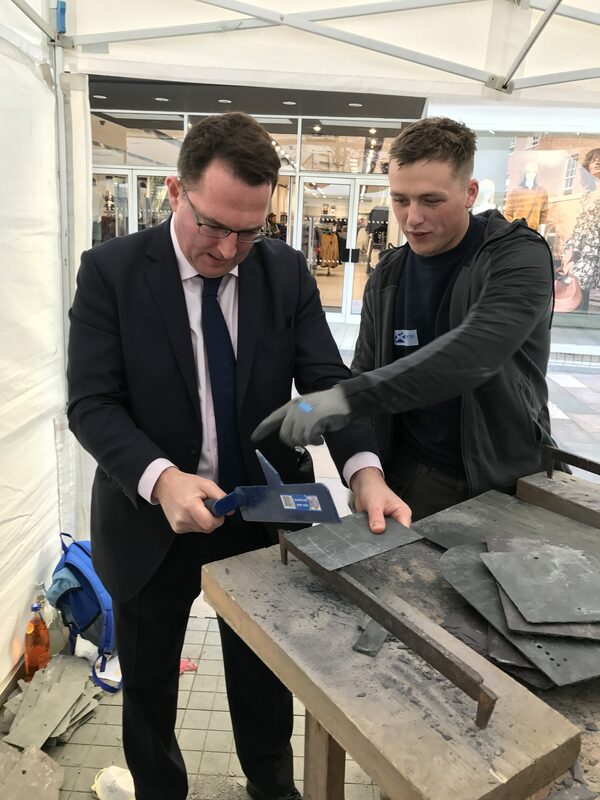 These events are part of the larger Inspiring Construction programme, which aims to attract more school leavers to the sector by informing young people and their parents, teachers and career advisors about the huge and diverse range of careers available in construction, and importantly, how to access them. From professions like architecture, engineering and surveying to the more traditional trades like joinery and stonemasonry, this industry has something to suit everyone. Inspiring Construction works in the principle that there needs to be sufficient, and skilled, workforce across the whole supply chain to ensure the construction industry is effective and efficient. 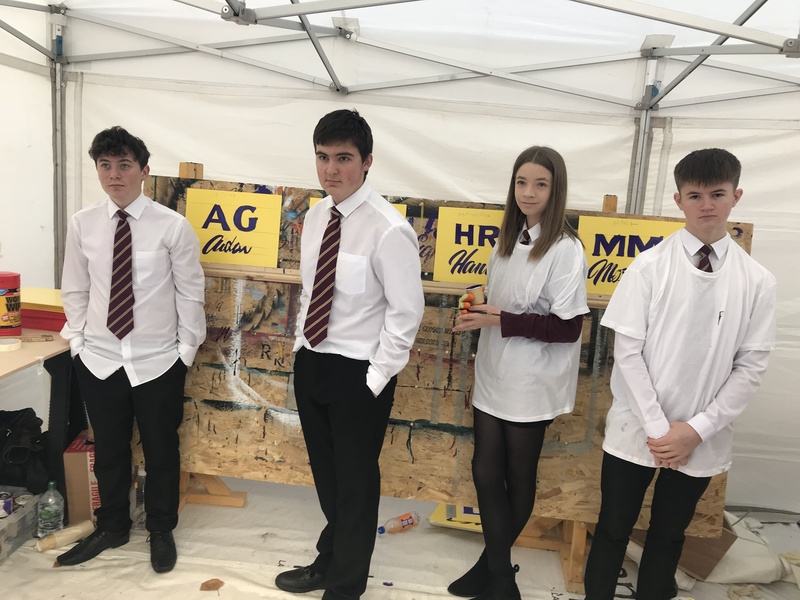 These traditional building skills events play a key role in raising the profile of construction as a career of choice to the next generation.